The only Premiere Approved Grooming facility in PA! Pets in Harmony Pet Salon provides low-stress dog and cat grooming to clients in Harmony, Zelienople, & surrounding communities in southern Butler County, PA.
We think that professional grooming goes beyond bathing, brushing, and trimming nails. It takes more than skill; a great groomer must have a kind heart. Your pets are part of the family, and will be treated with the patience, compassion and gentle care that they deserve. 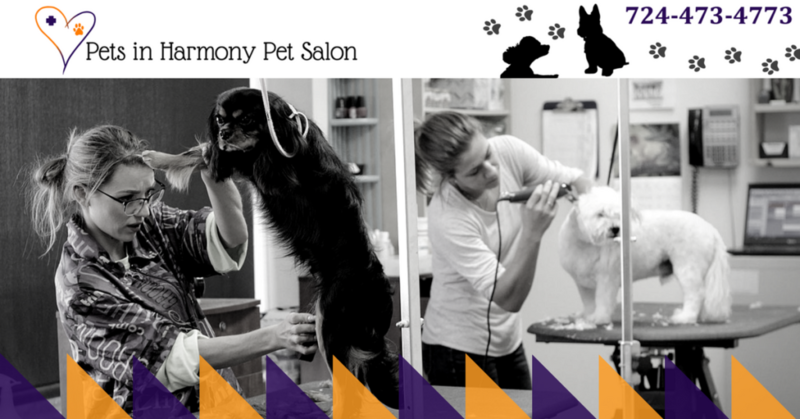 At Pets in Harmony, you can rest easy knowing that your pet is safe in the hands of an experienced International Certified Master Groomer (ICMG). Love dogs? Looking for a part-time job? We want to meet with you! We're seeking an energetic, patient individual to help pamper pets in our busy, fast-growing grooming salon. You'll work in a clean, new facility with a Certified Master Groomer. We pride ourselves on quality results, so professional grooming experience is required with a thorough knowledge of common cuts and breed-specific standards. Ideal candidates should be comfortable handling dogs of all sizes and breeds, and absolutely must be willing to be patient with anxious pets. We strive for a minimal-stress environment for all dogs under our care, so a gentle, compassionate demeanor is necessary for this position. We are open for grooming Tuesday through Saturday. Please call 724-473-4773 to reserve an appointment. Looking for our veterinary hospital? 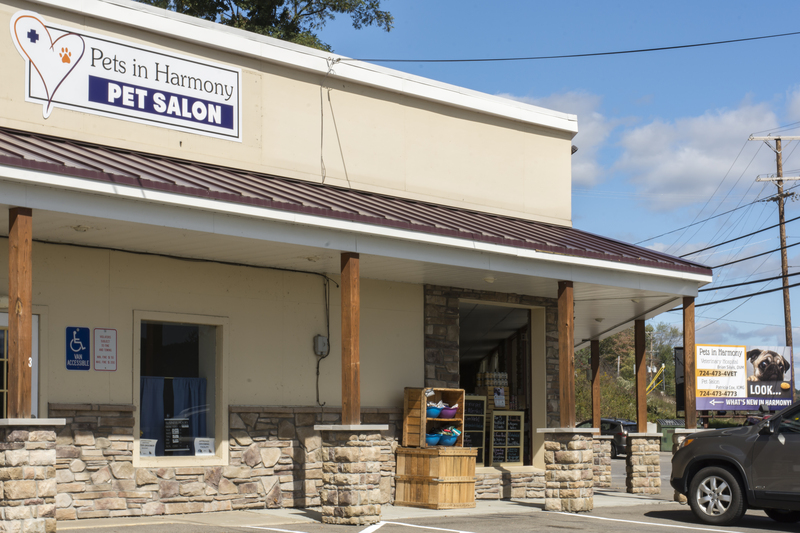 Full-service Veterinary Hospital serving Zelienople, Harmony, & surrounding areas. Veterinary house calls available. Our veterinary hospital offers conventional and integrative medicine for dogs and cats, as well as a comprehensive Rehabilitation & Physical Therapy Center.